The Predator is currently in the middle of some reshoots in Canada and actor Sterling K. Brown has shared some dark behind-the-scenes footage to tease us with. It was recently announced that the Shane Black-directed movie will also get a 3D release this fall along with the standard theatrical release. However, that really isn't that big of a deal. The real news is that the source of the intel about the 3D conversion is the movie's writer Fred Dekker, who also teased that a trailer was coming real soon. Sterling K. Brown's behind-the-scenes footage from the set of The Predator takes place in the evening and in the middle of the woods. It looks cold and even though the actors seem to be enjoying themselves, one can tell that there is a dark undertone to the location and the way that the lights are set up. You can clearly see Brown's co-stars Keegan-Michael Key, Boyd Holbrook, and Olivia Munn who lets out a funny scream towards the end of the short video. It has been rumored that the reshoots have something to do with some recent negative test screenings, which has been somewhat of a trend lately. Or at least a public trend. There's no word on how long the reshoots will take for The Predator, but it usually only takes a few weeks. Shane Black has called his take on the Predator franchise as "funny, yet deadly," which appears to not have sat so well with viewers in the test screenings. Humor in small doses is good, but fans of The Predator are going to want to see something that's a little bit on the serious and suspenseful side. There have been reports of trouble from the production of The Predator for quite some time now. The movie was originally supposed to hit theaters in February, which was then pitched out to August. However, the August release date was then moved to September 14th, where it will presumably be released officially. Fans have also been worried about the lack of footage, since all we've seen from the movie is an animated poster that features the Predator with animated lightning, which is cool, but it's a far cry from some footage from the upcoming movie. 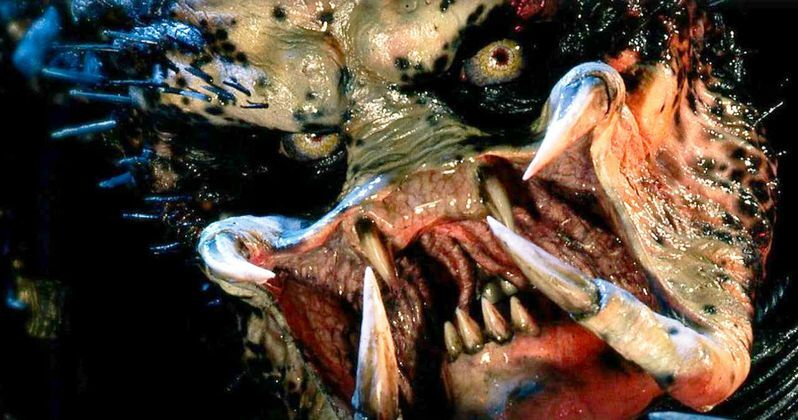 Predator is long overdue for some sort of reincarnation and this movie is highly anticipated But, many have not been happy with the idea of a "funny" take on the subject. The first movie starring Arnold Schwarzenegger had its moments of humor, which was a few lines of a dialogue punctuated with suspense and terror. Shane Black was also in the first movie, so hopefully he gets the tone right with the reshoots in Canada right now. The movie is confirmed for a 3D release. While we wait for that trailer to finally drop, you can check out some behind-the-scenes footage from Shane Black's The Predator below, courtesy of Sterling K. Brown's Instagram account.